“It used to be PCs and smartphones; now you have tablets and sensors and cars spinning out all kinds of telemetry data, and all kinds of machines and products and services becoming digital products. Dell’s in the midst of a $67 billion, history-making tech acquisition with EMC and clearly trusts the enterprise information technology as a service (ITaaS) leader to store and manage a treasure chest of smart data. And Dell isn't the only tech player betting on a hot data economy. A recent IDC forecast shows that the Big Data technology and services market will grow at a 26.4% compound annual growth rate to $41.5 billion through 2018, or about six times the growth rate of the overall information technology market. And by 2020 IDC believes that line of business buyers will help drive analytics beyond its historical sweet spot of relational (performance management) to the double-digit growth rates of real-time intelligence and exploration/discovery of the unstructured worlds. High Impact Digital Commerce. "Digital business is having a significant impact on customer data," said Douglas Laney, vice president and distinguished analyst at Gartner. "The growing wealth of information — from social media, location and context-sensitive data collected from mobile devices and the Internet of Things— is increasing the volume, velocity and variety of that information, radically expanding the scope of the 360-degree customer profile. Although some organizations have begun to invest in big data technologies in relation to their customers, with a view to direct or indirect monetization, many organizations lack business models to monetize their customer data." Data as an Asset. Further, Gartner recommends, "That organizations apply infonomics principles to their customer data by managing it with the same discipline as any other corporate asset. Organizations should use valuations of their customer data as the basis for prioritizing investments in technologies that help them acquire, maintain, enrich, archive and apply information. They should also calculate thorough business cases when designing monetization products,” said Laney. "By doing so, they will be able to create the necessary transparency for their stakeholders regarding the profitability of monetization initiatives. It will also enable them to present proof of the valuation of their information assets during any merger or acquisition, or in an initial public offering scenario," added Laney. Monetization Principals of Data. The report continues by saying, "Organizations should also learn how to monetize their customer data from industry examples and various business models currently in use. For example, banks and credit card companies provide payment information value-added services (PIVAS) to retailers and merchant partners. Banks use PIVAS to understand customers better and to help them build stronger relationships with retailer and merchant communities. Large retailers put their point-of-sale and other store promotion data online for their business partners to subscribe to. Some offer such data free to their suppliers; others monetize it by charging an access fee." For certain, organizations world-wide have more leverageable power in their hands than ever before in history should they choose to take it. 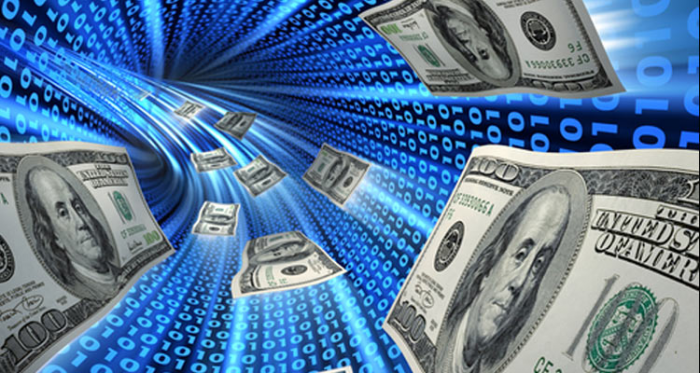 Monetization challenges will be faced as data becomes more and more the coveted asset on every balance sheet. Value propositions will be benchmarked and quantified like never before. And with cognitive big data and artificial intelligence the next frontier, what happens next is something in which we'll all be keenly watching and participating.